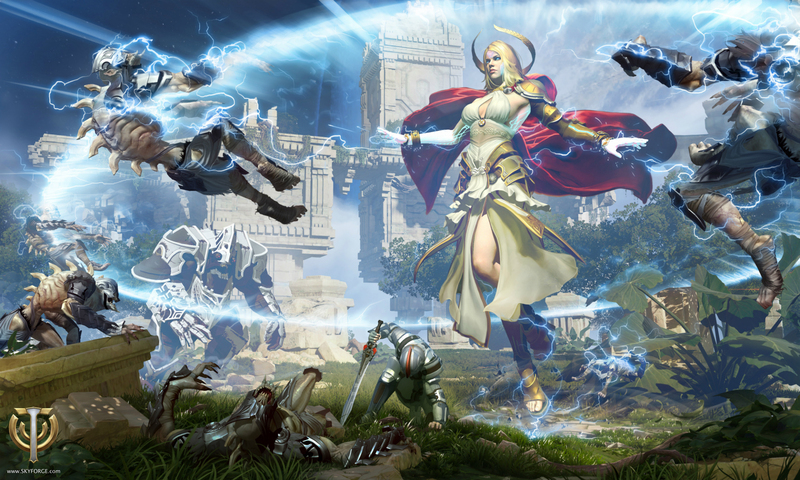 From the very first minute you step into the world of Skyforge, your character is immortal, but they have a long way to go before becoming a god. Like the heroes of ancient myths, our protégé will need to perform a great deal of feats and overcome many trials and adventures to gain the faith of many followers and become a new deity of Aelion. That is what your first adventures in Skyforge will be about; improving skills and attributes to develop your character. Your personal cult (which we’ll reveal more details about soon) will allow you to gain followers and their faith - the resource that is used to create miracles. Your adventures on Aelion will eventually let you awaken your divinity. 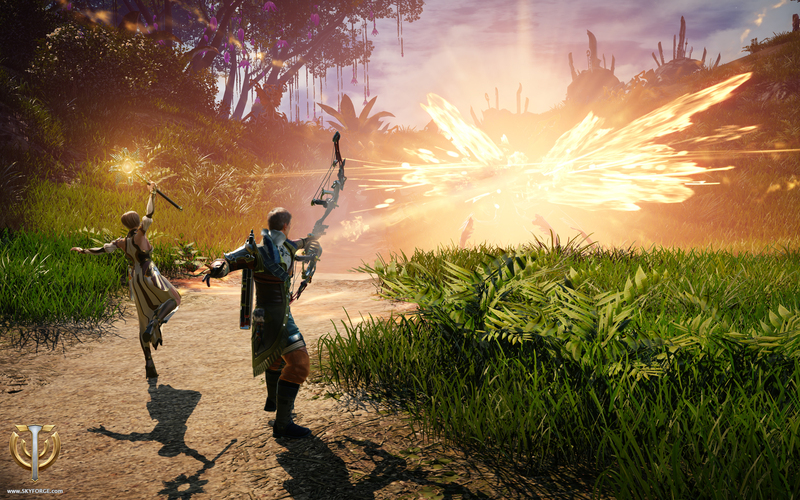 Being a god in Skyforge is not just a series of tests. Power and might come with responsibility and you must care for your followers and protect Aelion! When your character assumes the divine form, they surpasses other immortals in terms of destructive power, as well as resistance to control, damage and other manifestations of aggression among opponents. They will also be visually different, which is something the community often asks about: in the divine form, the character is physically much bigger than the other immortals, and can choose a unique appearance. Depending on the chosen classes and talents unlocked in the Ascension Atlas, a newly-fledged deity acquires special abilities that allow them to turn the fight around. Tanks can draw the enemies away from their allies, support classes give immunity and increase movement speed, crowd control classes can immobilize all the enemies, and damage dealing classes are capable of destroying everything from a distance or in close combat in a single "spell". If your character has mastered many classes, their powers are even greater! Switching between classes in combat is another advantage of the divine form. Finally, gods are able to heal during the fight, which is something the mere immortals can’t do. Divine powers are not limited to the miracles on the battlefield. Gods of Aelion can use the faith of their followers to create physical objects, like equipment. The Divine form is an attribute of gods. When you become a God you gain access to a new, divine layer of the Ascension Atlas which allows you to improve your already impressive advantages. And the might of the invasion gods coupled with legends of Aeli clearly indicate that the limits of "elder gods" stretch much further than those of the newly awakened gods! Whether you become a caring patron that sways the destinies for the good of Aelion, or a calculating and selfish deity who treats mortals and their prayers as a fuel source for their powers is completely up to you. 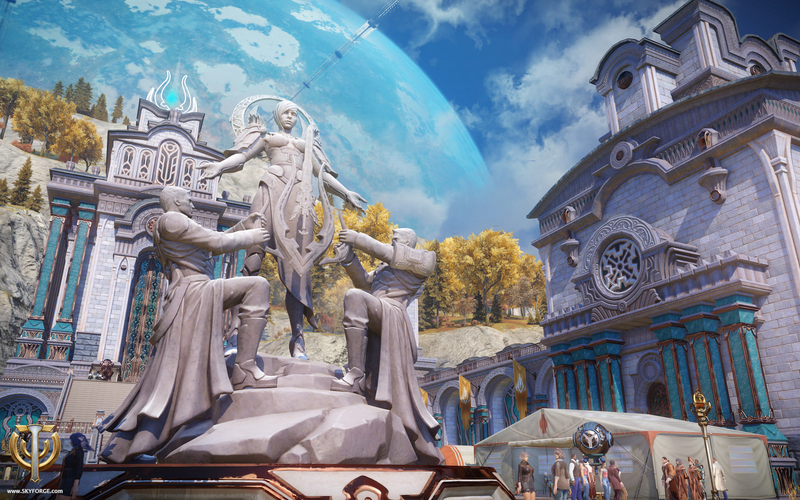 The world of Skyforge is waiting for your contribution. Sign up for the beta now!